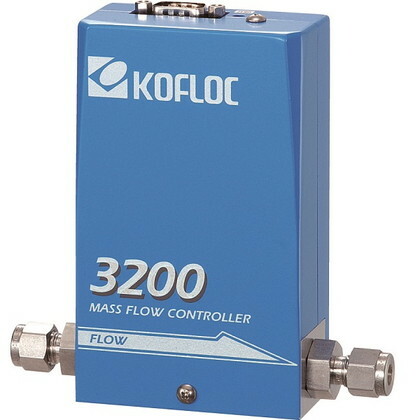 Model 3200 Series Mass Flow Controller is an advanced model designed as a successor of the 3910 Series that enjoys a wide use for diverse applications such as manu-facture of semiconductors, LCDs, combustion equipment, analytical devices, and biotechnology fields. Its high per-formance is equal to a new standard of KOFLOC. Specifications relating to the flow range (e.g., flow range, accuracy and re-sponse) are expressed in N2 or air equivalent. The product will be built with the primary pressure of 300 kPa or less and the secondary side open to the atmosphere. For details on the pressure requirements, please contact us.